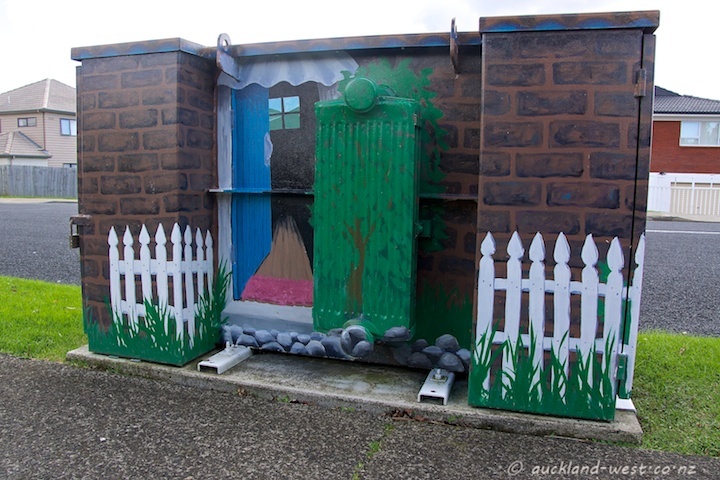 A transformer box painted by C. Bolton in McLeod Road, Te Atatu. 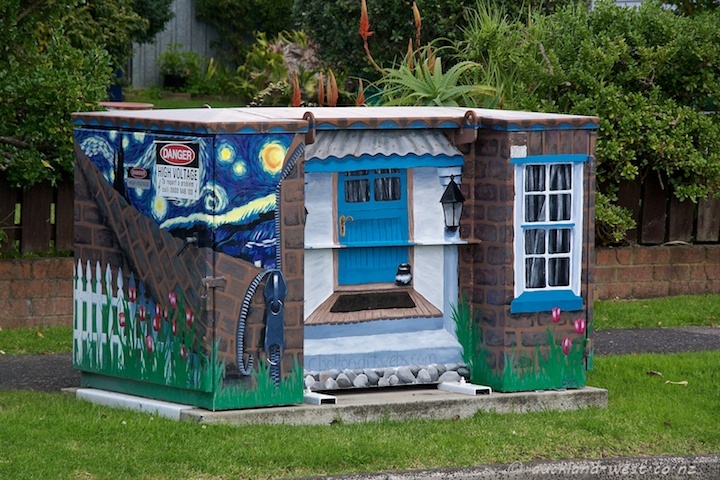 A Dutch cottage with picket fence and tulips unzips to reveal a hint of van Gogh. An escape route at the back.